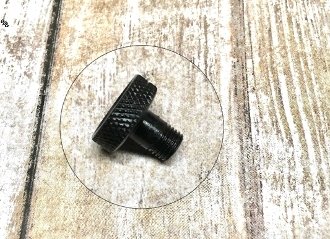 Our Products >> Redfield Apertures >> Redfield #102 receiver sight aperture 1/2"
This is a replacement aperture for the Redfield 102 receiver sight. All sights were supplied with the 1/2" diameter aperture when they left the factory. We can make other sizes on request. Redfield #102 receiver sight aperture 1/2"